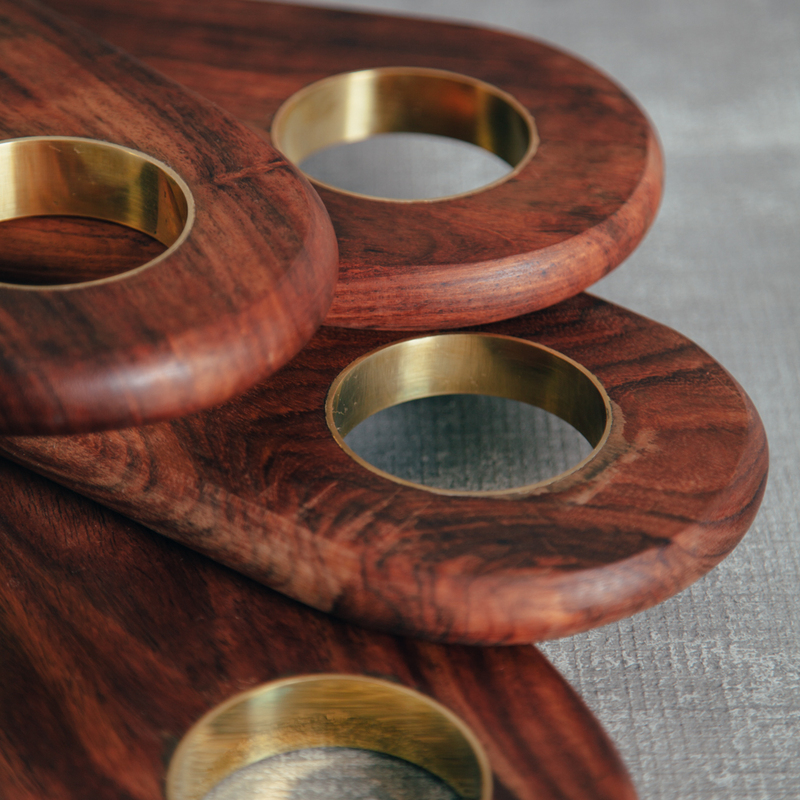 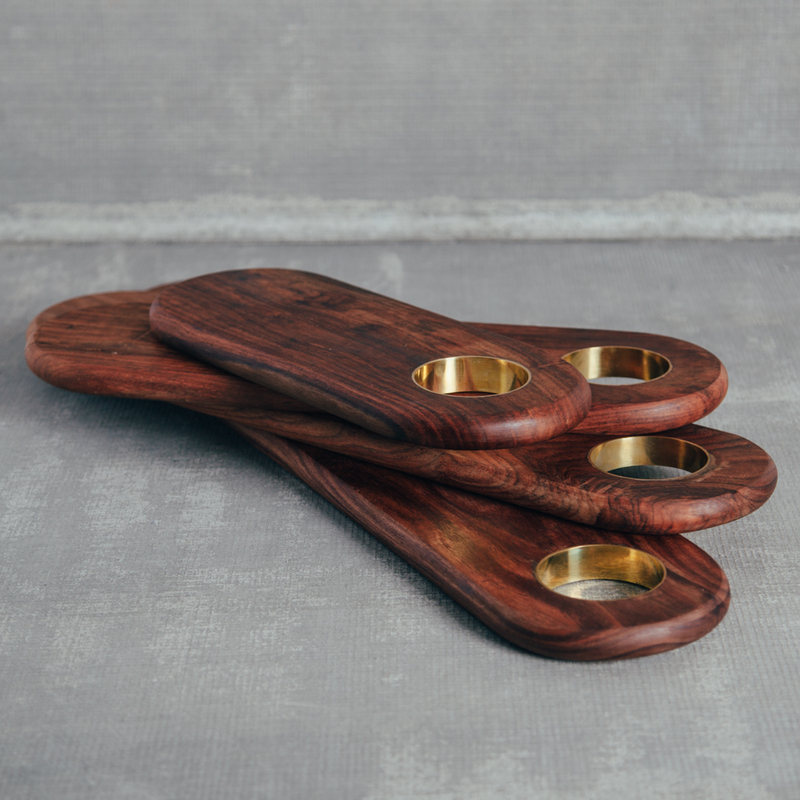 The Park Dinnerware pasta server features rustic elegance and functional beauty. 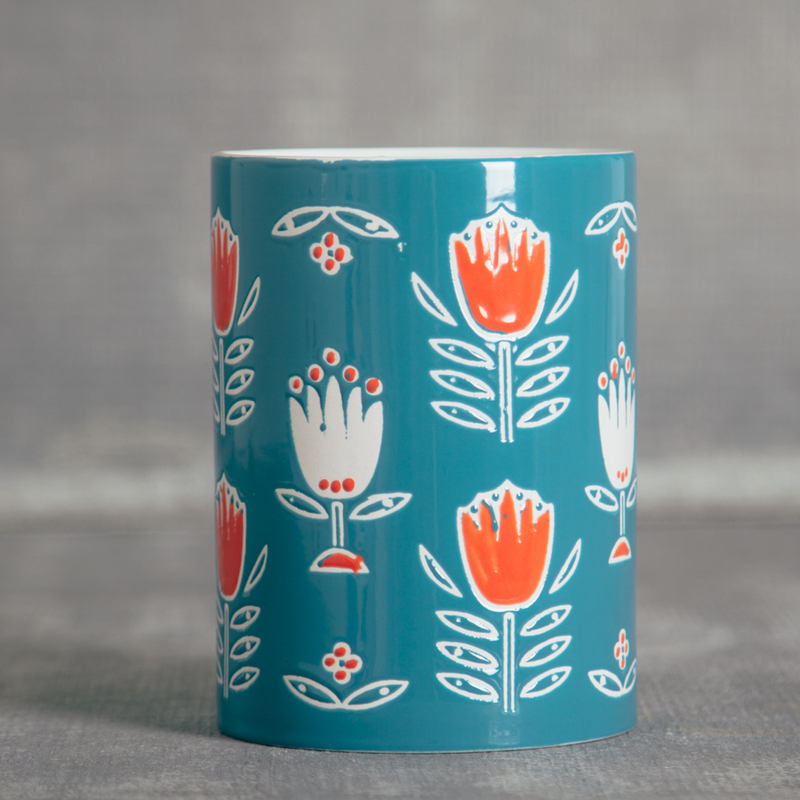 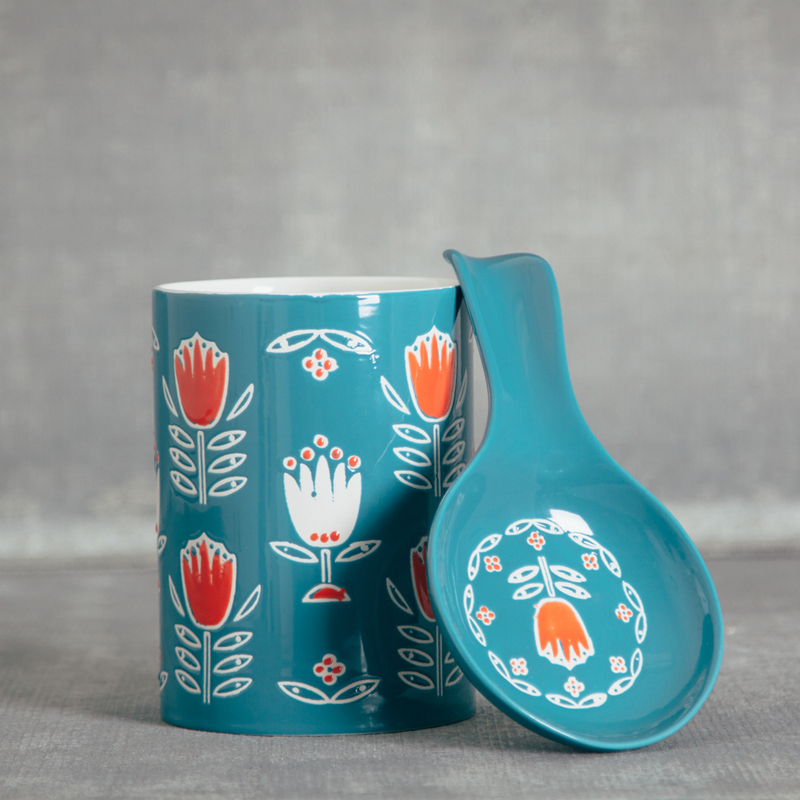 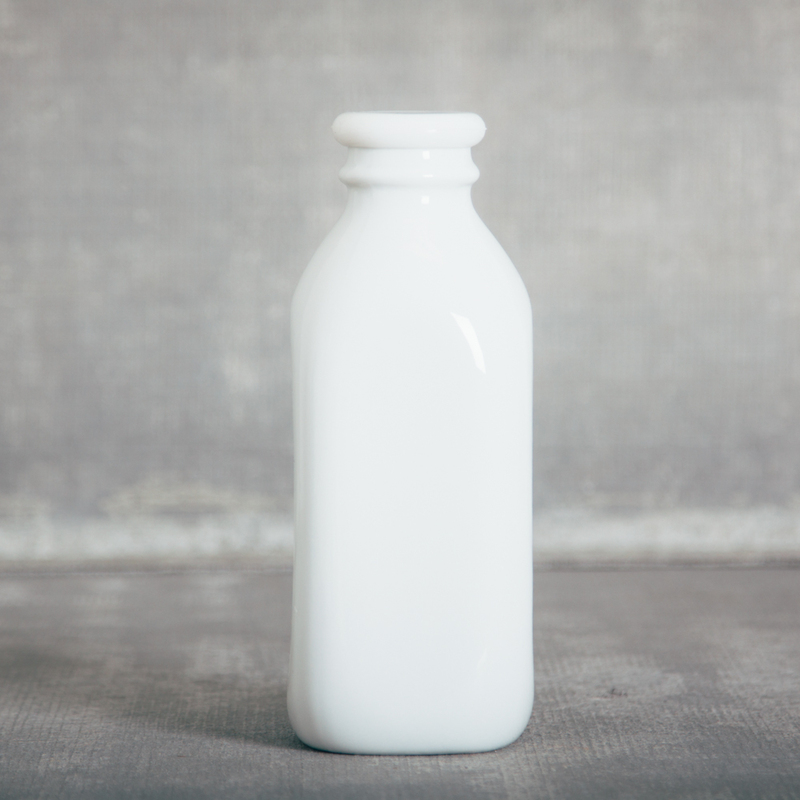 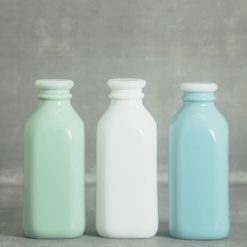 The artisanal ceramic shapes are glazed with complementary colors. 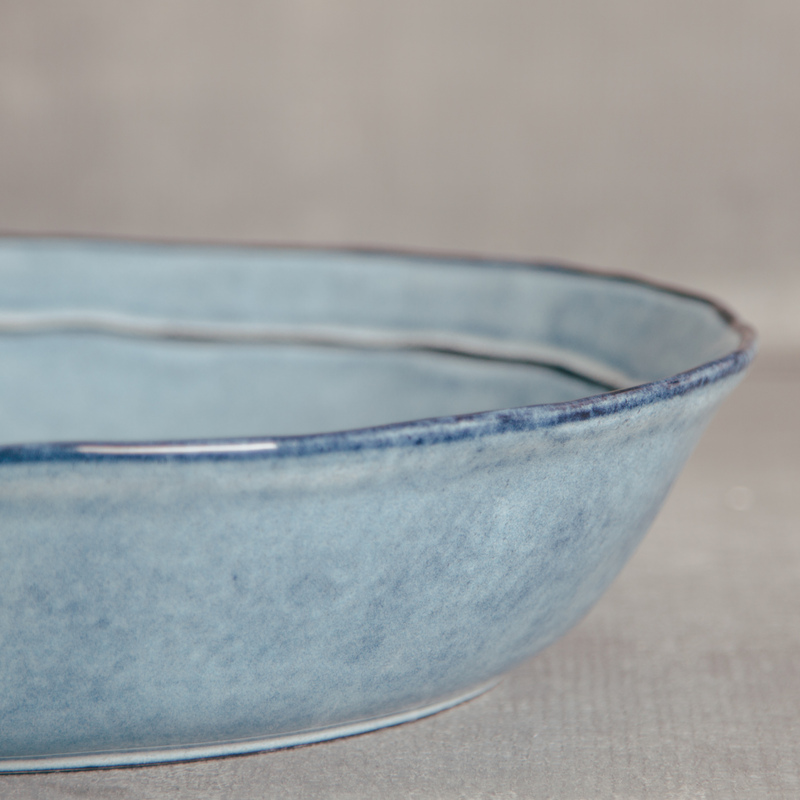 Each piece mimics the other, but no two are exactly the same. This collection of gourmet cookware and dinnerware is designed so that all of the uniquely shaped pieces can be stored in the freezer, cooked in the oven (conventional or microwave), and easily cleaned up in your dishwasher. 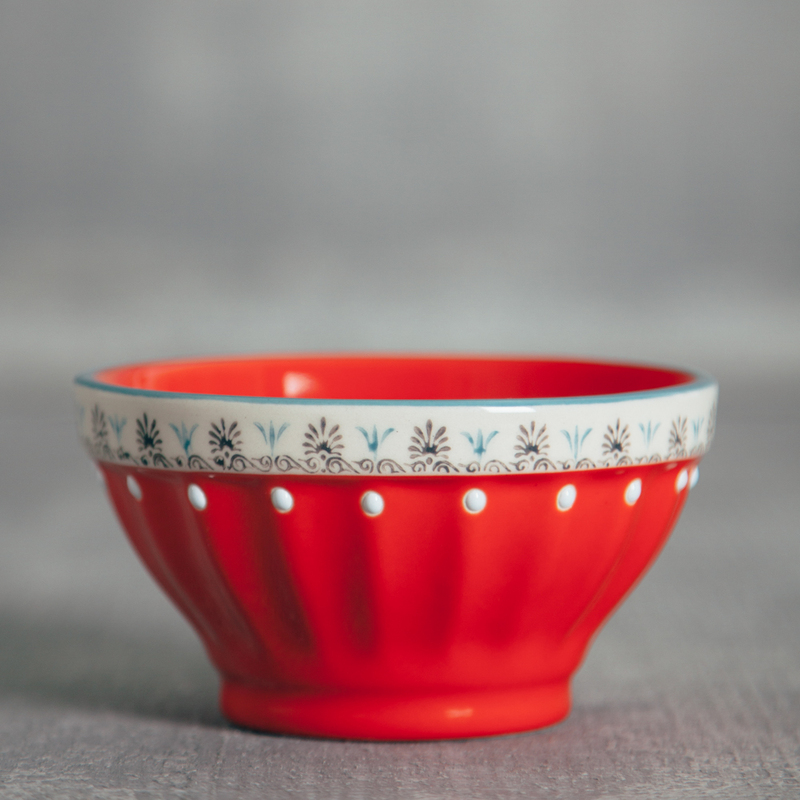 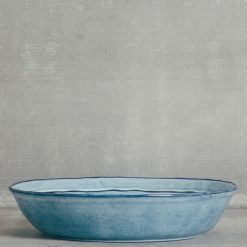 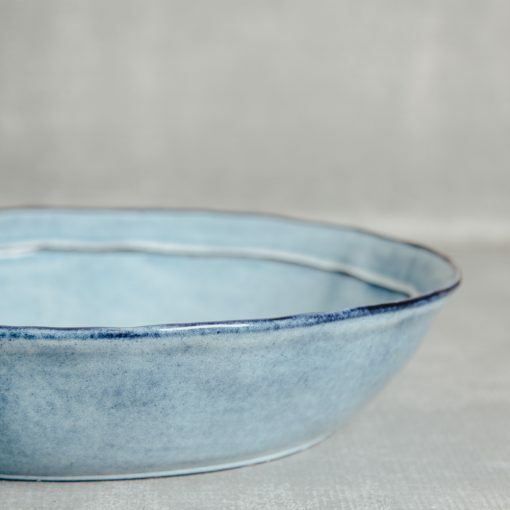 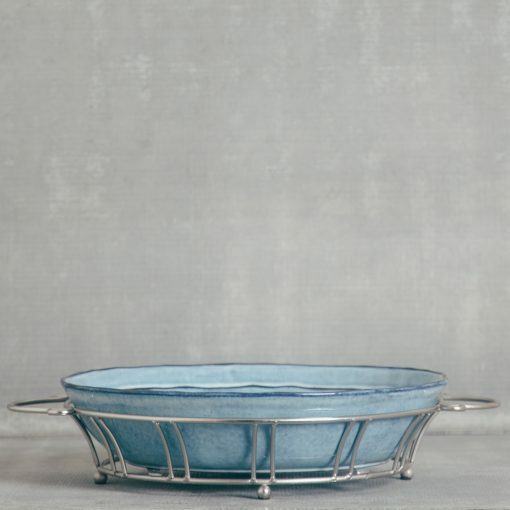 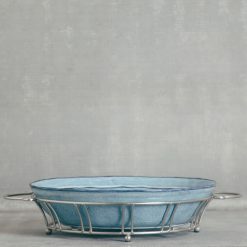 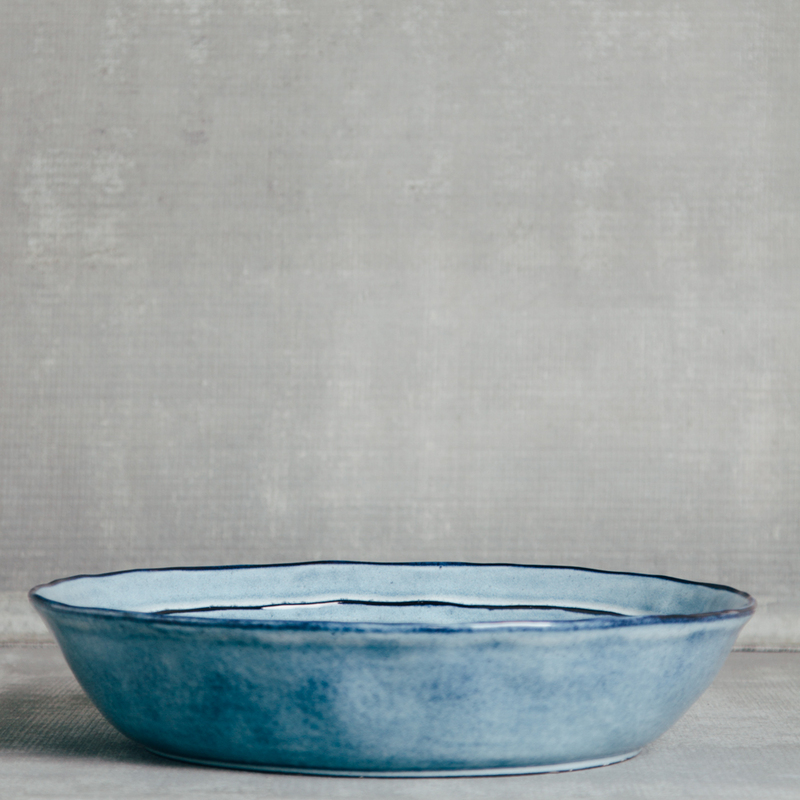 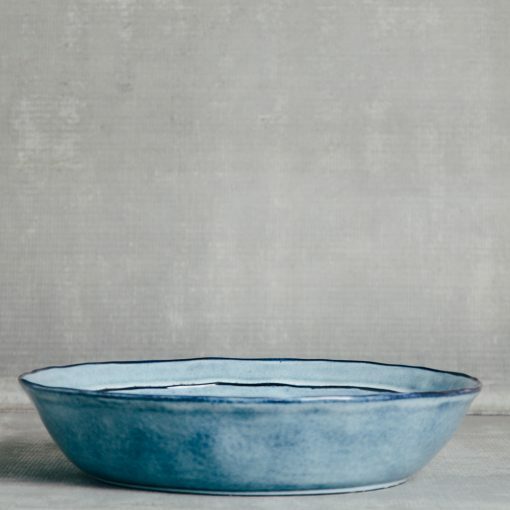 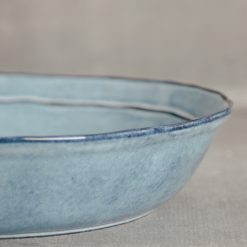 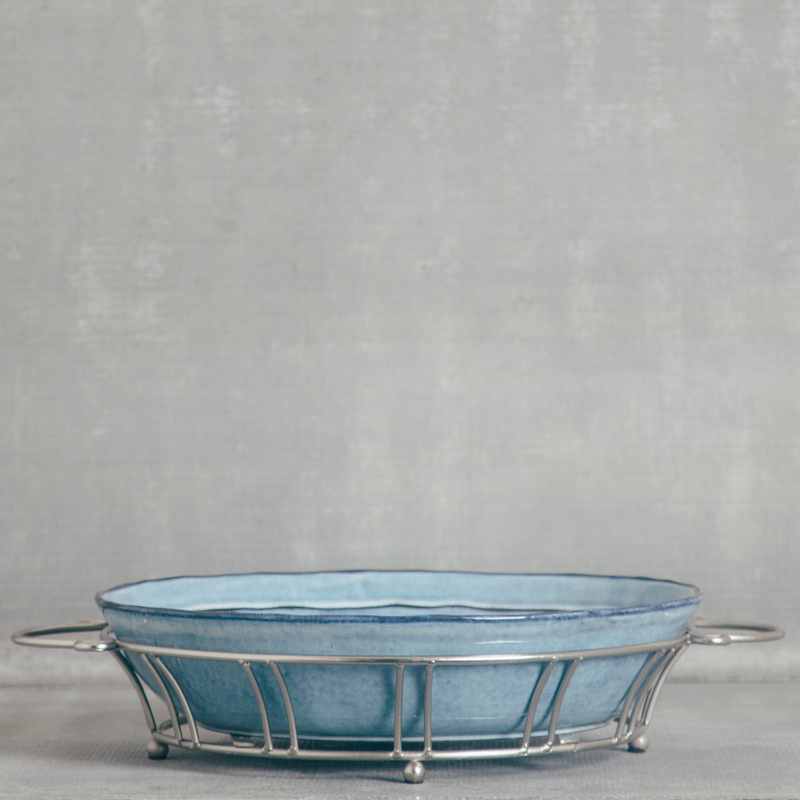 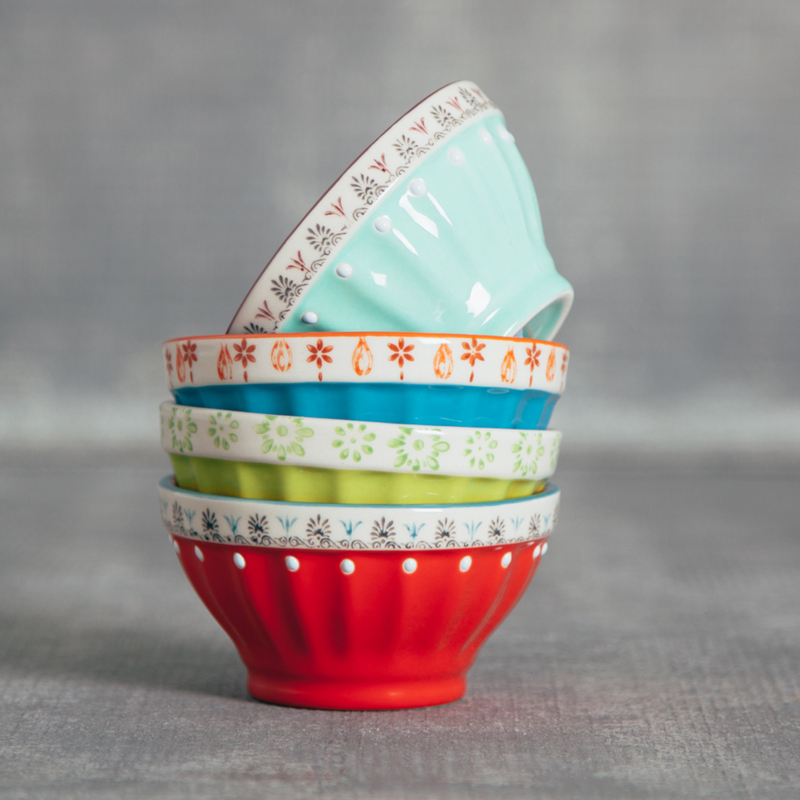 The wonderful round serving bowl is perfect for salads, side dishes, and more. 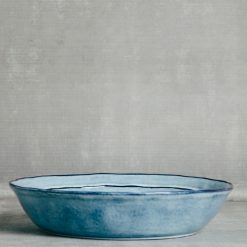 Due to the unique nature of this collection, please allow 2-3 weeks for delivery.